Eric’s fascination with movies began in childhood with the arrival of home video. He began to realize he was relating not only to story, but also the look and feel of the movies. This is where his love for film truly began. In 2006 Steelberg broke out into the feature film world with “QUINCEAÑERA,” a small indie which earned both the Audience Award and Grand Jury Prizes at the Sundance Film Fesitval. Since then, Eric has ejoyed collaborating with director Jason Reitman on seven films including “JUNO,” “UP IN THE AIR,” and the recently completed "THE FRONT RUNNER" starring Hugh Jackman. “JUNO” and “UP IN THE AIR” both garnered Academy Award® nominations for Best Picture. In 2017 he saw Paramount Pictures’ “BAYWATCH” released to broad international enjoyment. In addition to those films, he has also photographed the Golden Globe and Spirit Award nominated “(500) DAYS OF SUMMER." Always searching for diversity, Steelberg also tried his hand in television by shooting the pilot Showtime’s “BILLIONS,” ABC's "THE GOOD DOCTOR," and season two of HBO’s “EASTBOUND AND DOWN.” When not involved in feature films, he fills his schedule shooting commercials for some of the biggest corporations in the world. Occasionally, this work takes him to locations around the globe. 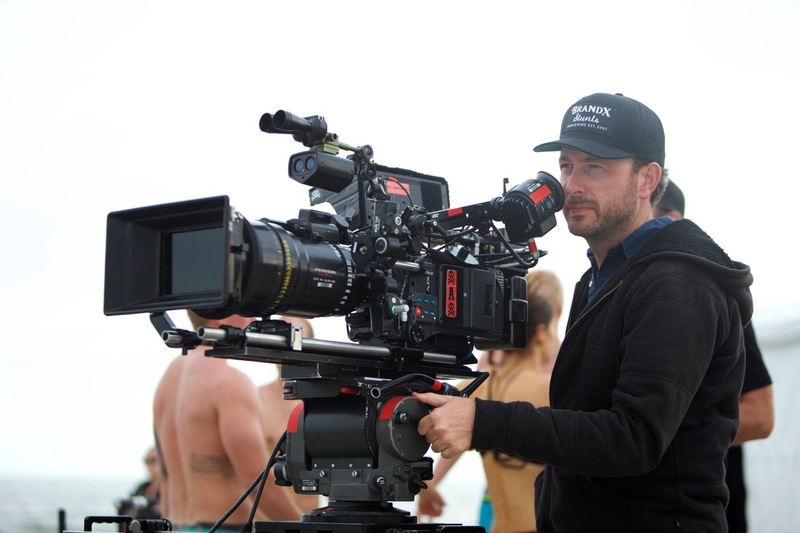 In 2012 Eric became the youngest member ever invited for membership into the American Society of Cinematographers, in which he serves on several committees and the Board of Govenors. He has been a member of the Academy of Motion Pictures Arts and Sciences since 2011 and a member of the Executive Committee, Cinematographer’s Branch. When time allows, Steelberg has also spent time participating in educational outreach by making himself available for school visits and master classes. He is born, raised, and currently resides in Los Angeles. Motherhood is one of the few themes explored, in fact, by the cinema. Of course there are incredible examples of mothers in the movies, in very well-constructed roles. But here I am referring to the opposite of the stereotypes of old or the romanticization around the formation of a family. 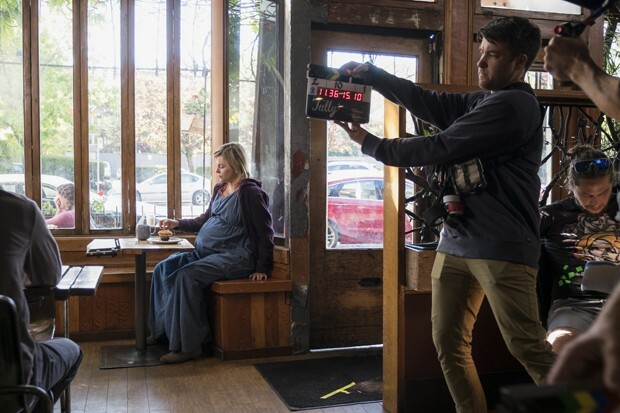 What surprises at first with the proposal of Tully , directed by Jason Reitman and written by Diablo Cody. The duo, who has had experience in talking about the subject in adolescence with the colorful and colorful Juno , brings back to the canvases the pains and loves of being a mother. And no one better than Charlize Theron to star in the plot in Marlo's skin. Mother of three children in different stages of childhood, being a newborn, she faces problems ranging from the lack (or excess) of patience to acceptance of the postpartum body - full of side effects that for many years were covered up by media, film and the generations of mothers themselves. Charlize (mother of two) did not hesitate to accept the role. "My second son was only six months old, and the oldest was three years old. When I got the script I realized that everything that was written I had already lived, I was living. It was honest, sincere, nothing like what I had seen before, "he said in an interview on The Late Show with Stephen Colbert . This sensitivity permeates the entire film, from the choices of the names of the characters to the coloring of the photograph. Eric Steelberg's cinematography brings the viewer closer to Marlo's dilemmas without being obnoxious or empty. "Often art and politics may be at odds, but in our case I think we were honest with our proposal and we showed our female characters in a positive way, keeping them honest," he comments in an exclusive interview with the House Vogue . "Honesty is the key to avoiding stereotypes, speaking from the point of view of history.Exploring vulnerability and strength, in the same scene, is an example. We started a scene with an open take, showing the chaos around Marlo, and we ended the same scene with a closer, more intimate character, letting his eyes express his emotional arc. " Aside from the two small catch-up challenges - little time to record and small venues - Eric comments that everything has been done in the most organic way possible. "First of all, I had long conversations with the director, screenwriter and creative teams to share our visions of the same story. Good and effective cinematography should always include the contribution of everyone, "he explains. From the conversations and pre-production meetings, came the ideas of surrounding Marlo with the chaos of toys, dishes, books, clothes ..., always recorded in open takes for the viewer to understand the universe in which the character is inserted. The light play is also high on Eric's photograph: "The softer lighting comes when Marlo meets the night-nanny, Tully (Mackenzie Davis), who comes in to help her with housework." In addition to this perception, the colder and darker lighting, marked with shadows, permeates the tense scenes between Marlo and her husband. Eric Steelberg and director Jason Reitman have been friends since the age of 15, which has helped them both develop a job as cool as Juno. "We spent 4 weeks in August 2016 in Vancouver, Canada, to make the location visits, understand the angles that the camera would have, searching for references in the city itself," he says. "The biggest challenge was to understand the house, the main setting of the film, and to capture it in a fresh and non-repetitive way. But we also could not forget that the film speaks from the mother's point of view - we needed to maintain the visual language so as not to confuse her story. " Of course, with Marlo's home so in evidence, Eric's work with design producer Anastasia Masaro was uniquely allied. The color palette needed to be restricted to the style and proposal of the director, without falling into the sameness. "We needed elements that were used or costly. It was also important that we stay away from the primary colors until Marlo starts to change and feel better. Once Tully appears and begins to help her, we introduce a little sunlight, some lighter and pastel colors. Your skin glows a little more. It may seem like an obvious choice, but creating these counterpoints required a lot of work and discipline between me and Anastasia, "says the director of photography. Having worked with Charlize Theron in Young Adult (2011), also by Jason Reitman and Diablo Cody, Eric had no problem portraying the actress's stunning and crude performance. "I'm amazed how she can be so dedicated, vulnerable, and without ties, all at the same time. I can not even see myself in an interview and she can become completely into any character, "he jokes. For the role, Charlize gained weight, which reflected in the capture of her image. "She did not want beauty lighting, she wanted to look tired.Obviously, it's very difficult to make Charlize look bad, whatever the situation, but I took her tips and used more natural light and shadows than she normally would have. I created areas of light in the house and let her find them, let her play with the lighting alone. I would take her where the light was in some cases and she could be in it or partially out depending on how she felt, "he says. Tully enters the list of unpretentious films that tell a lot about the life of a human being, but mainly, of a mother. A woman who suffers, even if unconsciously, with the social pressures of image, of how a mother should be, behave, bear. It's beautiful, it's dense, it's important. And Charlize Theron is an acting hurricane. Listen as Host Jim Hemphill and Cinematographer Eric Steelberg, ASC discuss his work in the comedic drama Tully — written by Diablo Cody, directed by Jason Reitman and starring Charlize Theron as a beleaguered mother who develops an unusual relationship with her new nanny, played by Mackenzie Davis.